Glorious Maximus ($1.99) by Sneaky Games is an Ancient Rome-themed battle game in which one must fight as a gladiator to achieve the highest honor possible for a soldier: “Glorious Maximus.” The game is very diverse in that it has elements of many styles of play. It has the first-person simulation aspect of an RPG game. It encompasses the violent thrills of an action or fighter game. It progresses like an adventure game. 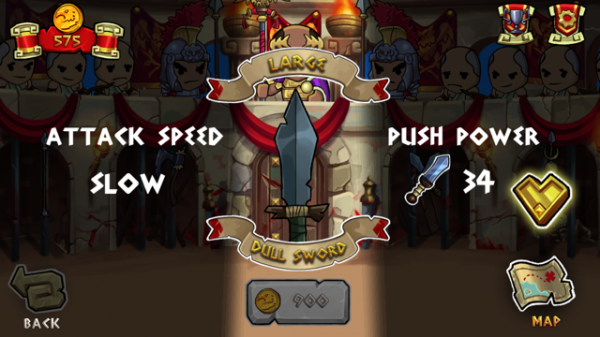 It also contains many hack and slash elements within the game that supplement the fighting aspect. Altogether, this app makes for a dynamic and multifaceted gaming experience, requiring many different skills, that will surely please and appeal to everyone. The game starts out with not just a tutorial, but also a story that any history aficionado, such as myself, will appreciate. As a history minor in college, I definitely have a thing for the Roman Empire, so I may be a little bit biased when I say that this game’s theme is so excellent. 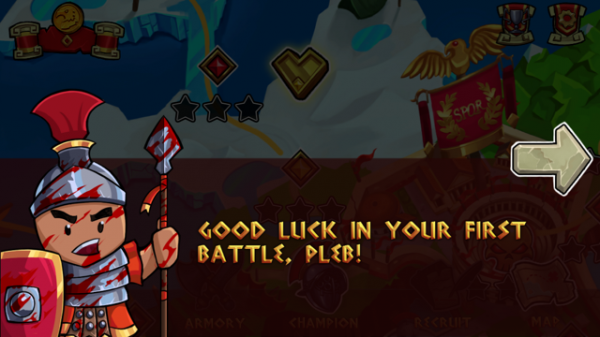 The game is even a little bit sassy in its theme; it resorts to calling you a “pleb,” short for plebeian, which refers to a simple Roman commoner. This is obviously meant to be derogatory to an aspiring soldier, so I really got a kick out of it. After the tutorial and preface, gameplay begins with a map setting. 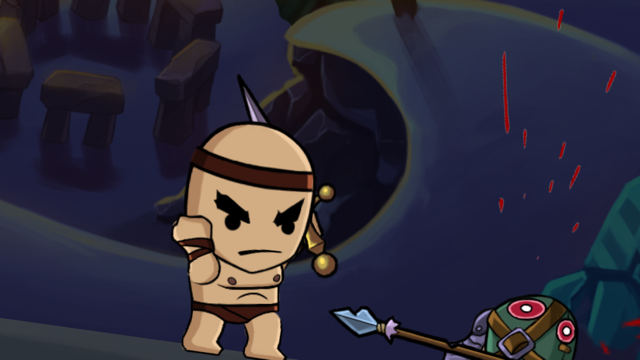 Each location is a different level, and although each battle won makes you stronger, the enemies also get more fierce. When going into battle, you play the role of, at first, the most basic soldier, equipped with nothing but a simple weapon and minimal armor. In battle, there are only two controls: attack and defense. Sounds easy enough, right? However, each block and each attack uses up a little bit of valuable stamina, which if used up, will result in your defeat. One of the most exciting aspects of gameplay is when one player is nearing defeat, the screen dramatically zooms in on the fight to the death. Unfortunately, this does make the game a bit inappropriate for young children, as it contains spurting blood and mild cartoon gore. 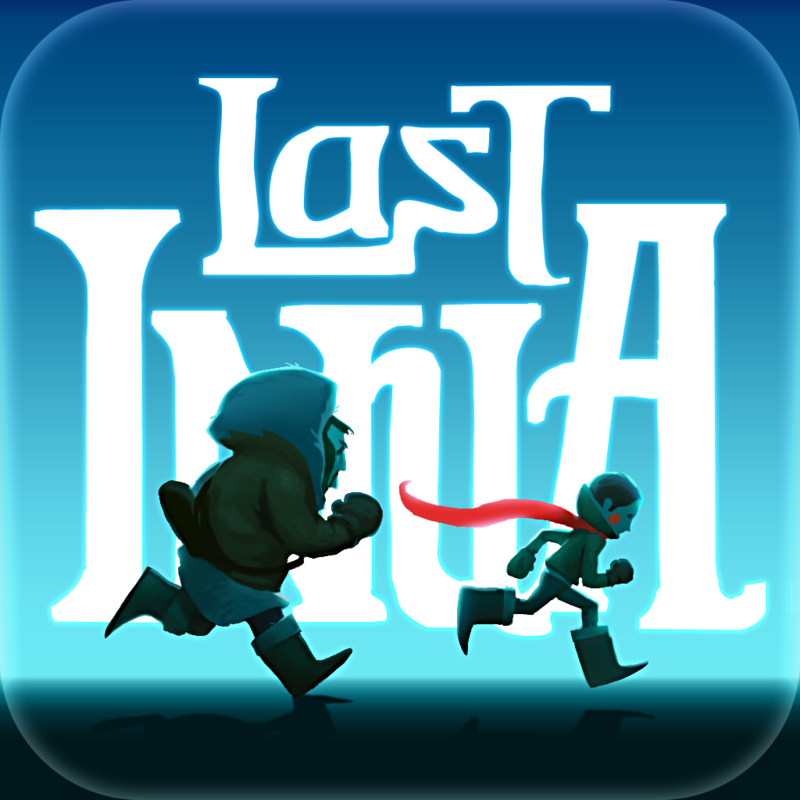 For an equally fun game with more adventure, but less violence, try the brand-new app Last Inua – An Arctic Adventure. 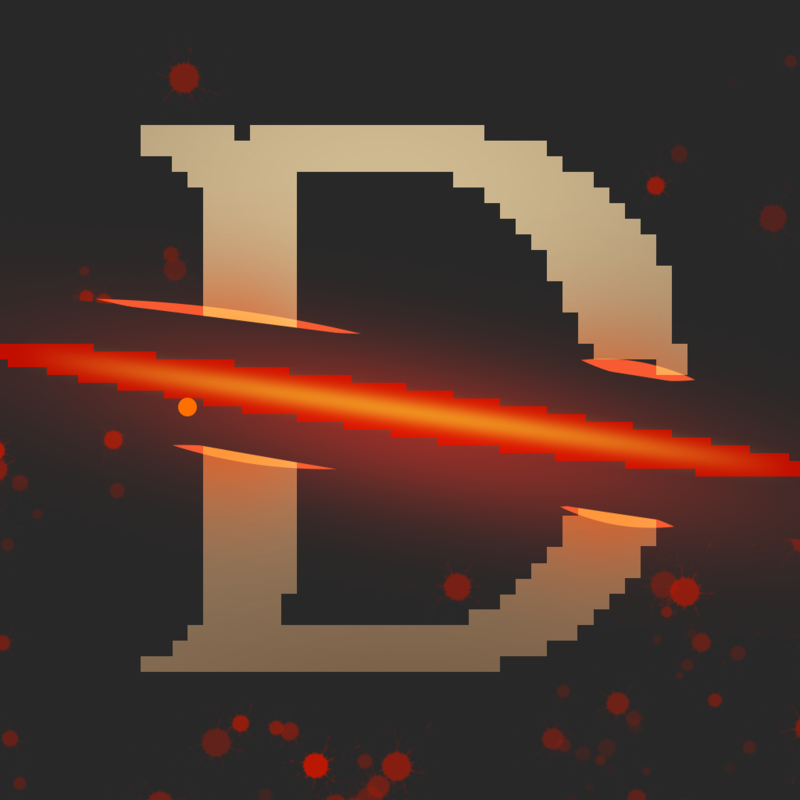 However, if hack and slash games and killing enemies is your thing, I recommend Dark Slash. If you win your battle, you get rated on a three-star scale based on how well you played. You also win coins, which can be used in the game’s stores to buy new weapons or characters. Included in the characters available to be purchased are many familiar names: Spartacus, Julius Caesar, Achilles, Hannibal, Brutus, and more. Although they are fierce, I have to say that the game’s characters are absolutely adorable. The app contains superb music as well as beautiful graphics. The motion is smooth and doesn’t lag. The soundtrack is very authentic and motivates one to charge proudly into battle. The sound effects are crisp and clear too, and during battle, the score is integrated very well with the sounds of people cheering, as though it were in the Colosseum. Glorious Maximus also contains some cool twists. Your enemy, in fact, is not all there is to fear. 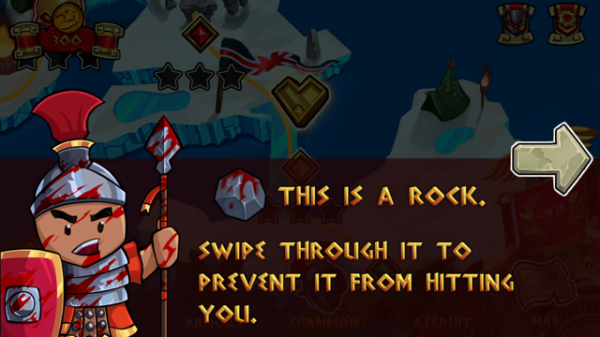 You must prevent rocks from hurting your stamina by swiping them to break them into pieces. 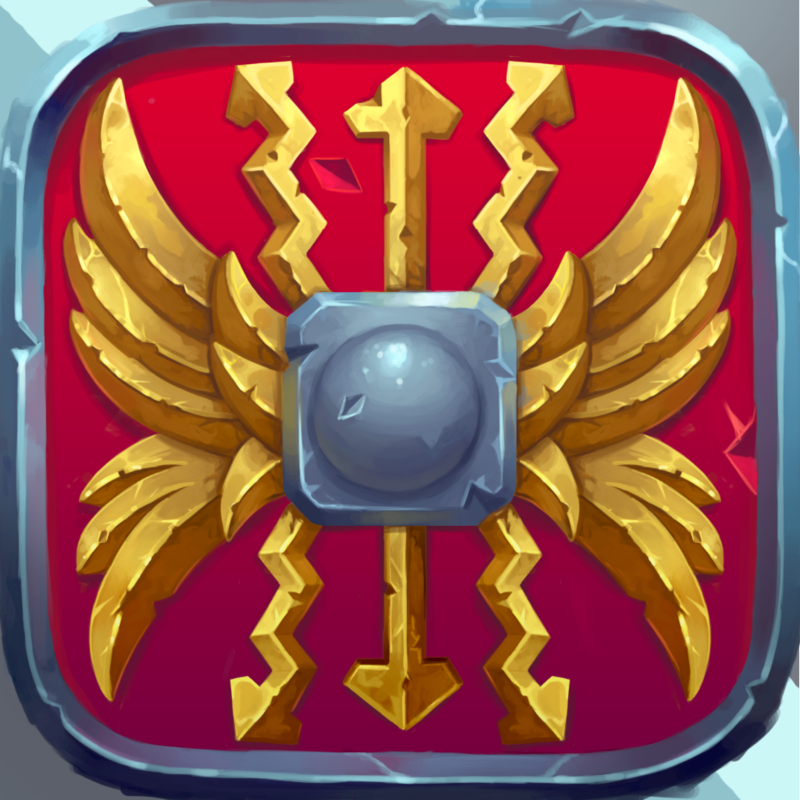 Your shield is also not all you have for health, for it also is pretty common for turkey legs to rain upon you; swipe them and you gain substantial stamina. 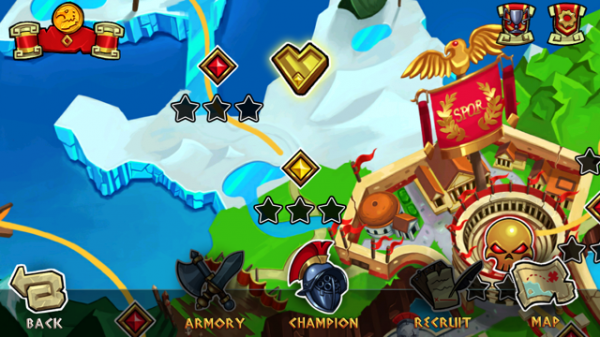 Overall, Glorious Maximus integrates many types of skills, great visuals, powerful sounds, and thrilling gameplay to make for an addictive and worthwhile game. 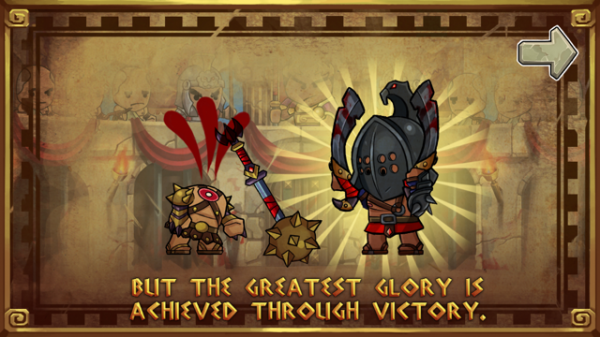 Glorious Maximus is universal and available on the App Store for $1.99.